Greg Bueltmann loves being a principal-turned-rocker. 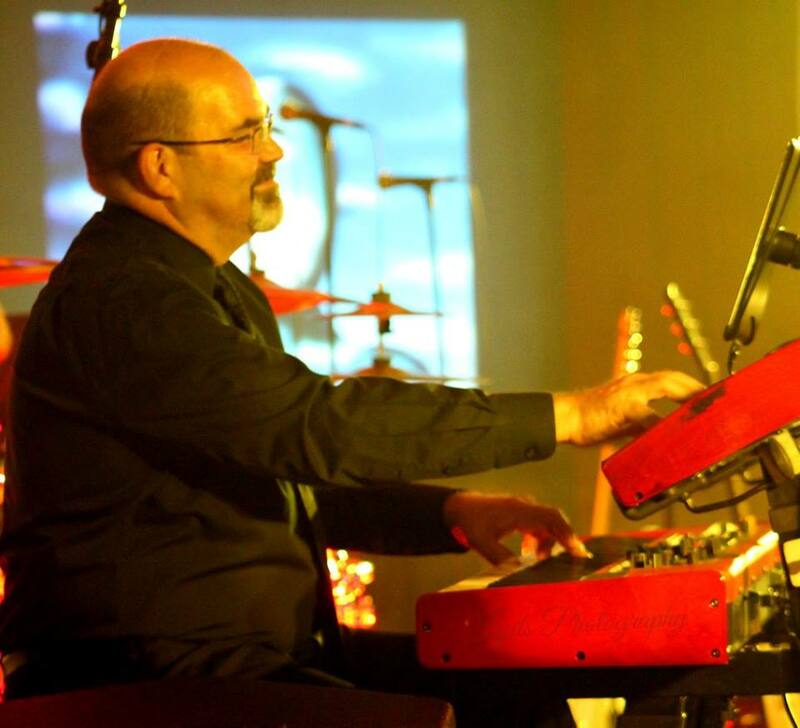 Bueltmann, a Miller, Indiana resident and Director of Enablement at IT consulting and integration firm Burwood Group, plays the keyboard and is a vocalist for two Northwest Indiana-based bands: Echoes of Pompeii and Mr. Funnyman. Bueltmann, a Libertyville, Illinois native and former principal at May Whitney Elementary in Lake Zurich and Big Hollow Middle School in Ingleside, now plays in front of thousands at dozens of festivals, venues and stages across the Midwest. Upcoming shows in Northwest Indiana include Aug. 9 in Valparaiso; Aug. 16 in Highland; Aug. 24 and Sept. 9 in Crown Point; Aug. 31 in Griffith; Sept. 2 in Lowell; and Sept. 8 in Schererville. Bueltmann’s bands also will play in Illinois, including Sept. 1 at Chicago’s Steelworkers Park, throughout the remainder of 2018. He said rocking it out with Echoes of Pompeii – a popular Pink Floyd cover band that has several thousand Facebook followers – and the cover band Mr. Funnyman also helps him at Burwood, where he sets direction for the company’s development. That includes providing the process, structure and programs to ensure that Burwood’s employees are equipped to deliver the outcomes promised across all products and services. It also entails performance management, organizational systems and applications, training and tools. Bueltmann said the arts and music have been crucial throughout his life. The Libertyville High School graduate has a bachelor’s in music education from Millikin University and a master’s in education administration from Northern Illinois University. When he’s not playing with his bands, Bueltmann plays the pipe organ every Sunday at Bethel Lutheran Church in Miller. Before coming to Burwood in 2008, Bueltmann was assistant superintendent for technology for the Lake Zurich Community Unit School District 95 and worked at other technology firms. Bueltmann is consistently impressed with Northwest Indiana’s music scene, noting residents love watching live bands. Bueltmann said he also loves living in Miller, for numerous reasons. For more information on Greg Bueltmann, visit http://www.gregbueltmann.com/.